Planning a ski trip to Utah? Join us for our family’s picks on places to savor, stay and play in award-winning Deer Valley Resort! There was a time when at a moment’s notice, specifically, when the promise of snow would enter the weather forecasts, my husband would alert me to start packing for a getaway to the mountains. We had it down to what we thought was a science, and our personal record was booking, packing, slapping on snow tires and hitting the road in under three hours – you would think that my husband was training for the Indie 500, that is, if the race took us to Lake Tahoe…and if it meant outsmarting the mass exodus of Bay Area folk who eagerly suffered through traffic to find a trace of powder. The kids were smaller then and learning to love skiing – so much so that my daughter bored of skiing with us, since her abilities had surpassed ours. For my husband and I, it meant quality time together on the slopes while the kids learned with their instructors on their own, and we always looked forward to these winter getaways. There no longer was a reason to race to the mountains, at least in the wintertime. The idea of skiing amid patches of bare grass was not appealing, and so our skis sat untouched in the garage, the kids’ ski gear outgrown, and we figured, well, one day it will snow again. That is until about over a year ago, I found myself at a retreat in Deer Valley, Utah. 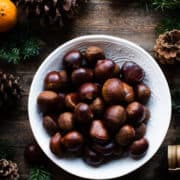 It was autumn, and I was struck by the golden hills that were covered in brilliant fall foliage, the slender birches that lined trails running down the slopes of the Wasatch Range, and how very much at home I felt there. I imagined what winter must be like, and wished to myself that I could share this place with my husband and children. While I was there, I had the chance to get to know and chat with our incredible hosts at Deer Valley Resort, and of course, we ended up talking about skiing! I couldn’t believe what I was hearing — that Deer Valley was a ski-only resort (having had to deal with a few reckless snowboarders this was very interesting — and I should mention that I have nothing against snowboarders given my son had actually switched and was a budding boarder himself), that there is award-winning food (naturally of interest to yours truly! ), that traveling to Deer Valley from San Francisco is just as easy, if not easier than driving to Tahoe (No traffic? What a concept! ), but most of all, that there is guaranteed fluffy powder – SNOW – every. single. season. I was convinced that I needed to return, and not alone. 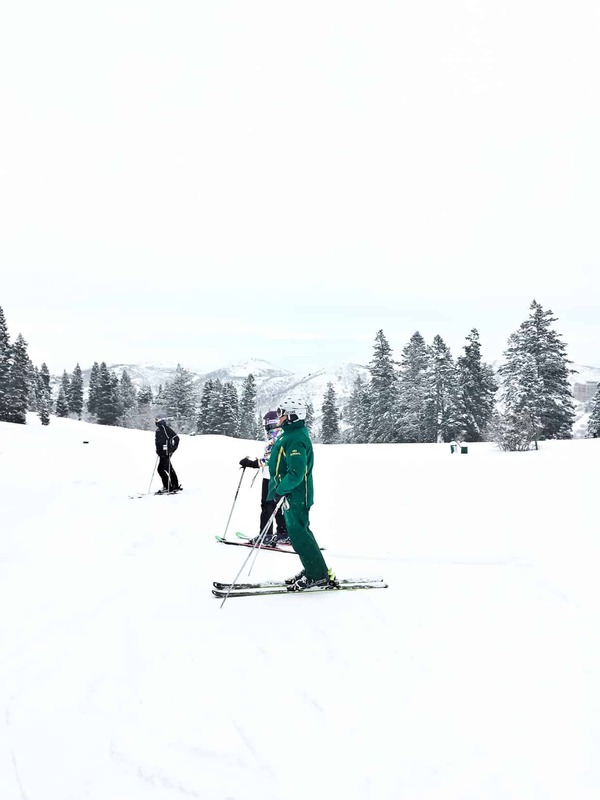 So when the folks at Deer Valley Resort reached out to me, graciously inviting to host my family to ski Deer Valley, it was with a very grateful and excited YES that we prepared to get our ski legs back in shape. 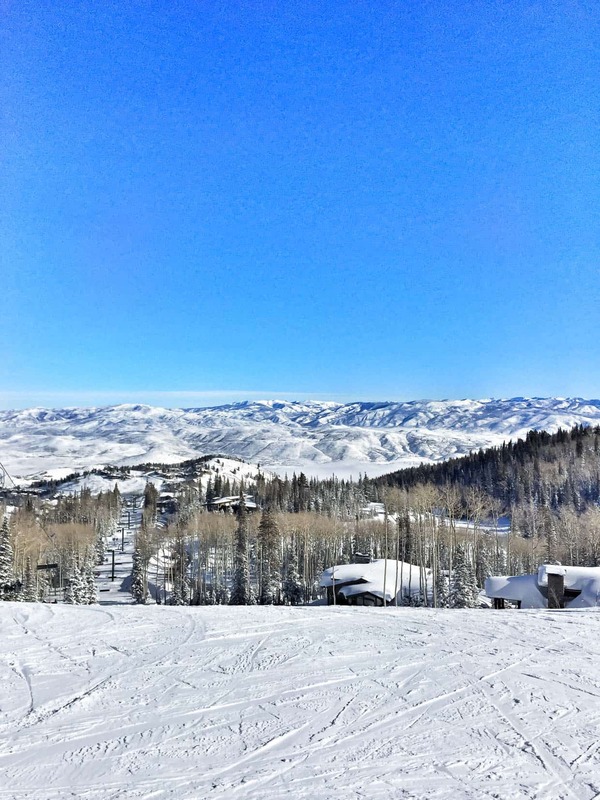 Did Deer Valley Resort live up to our expectations? Absolutely. To be frank, after skiing Deer Valley, it will be very hard to ski anywhere else again. Powder! The quality of the snow! My husband and I first skied back east and in the midwest, where ice prevails. But we really learned how to ski out west in Lake Tahoe. We thought we had it great until we skied in Utah. There is no comparison once you’ve experienced Utah powder. It’s Ski-Only. I’m happy to share the slopes, but until you try skiing at a resort without snowboarders, let me just tell you, it makes a huge difference. The flow of traffic down the mountain is consistent, everyone manuevering runs in the same pattern that it makes it so much easier to ski. Deer Valley is one of three ski resorts in the country to remain ski-only. The variety of terrain for all abilities. Whether you’re a beginner or expert skier, there are plenty of runs to explore to your heart’s content. They limit the number of lift tickets available each day. That means less waiting in lift lines, less crowds on the runs, and a better experience for all! Accessibility. It’s true. The short flight from San Francisco to Salt Lake City plus 30 minute drive to Park City/Deer Valley is just about as short, and can be shorter, than the travel time it takes for us to drive from the Bay Area to Tahoe, depending on snow and traffic conditions. If you plan it right, you could land in Utah and be on the slopes that very afternoon! The Ski Rentals/Complimentary Storage. While we own our ski gear, we decided to try renting gear for ease of travel. The only exception to this, other than our helmets, were my ski boots, since I have ski boot issues and don’t ever want to chance it. But the demo-quality Rossignol equipment was excellent, and my husband was quite comfortable in his rental boots! PLUS, Deer Valley offers complimentary overnight boot and ski storage – no need to lug your gear, ever! Everyone is Happy! 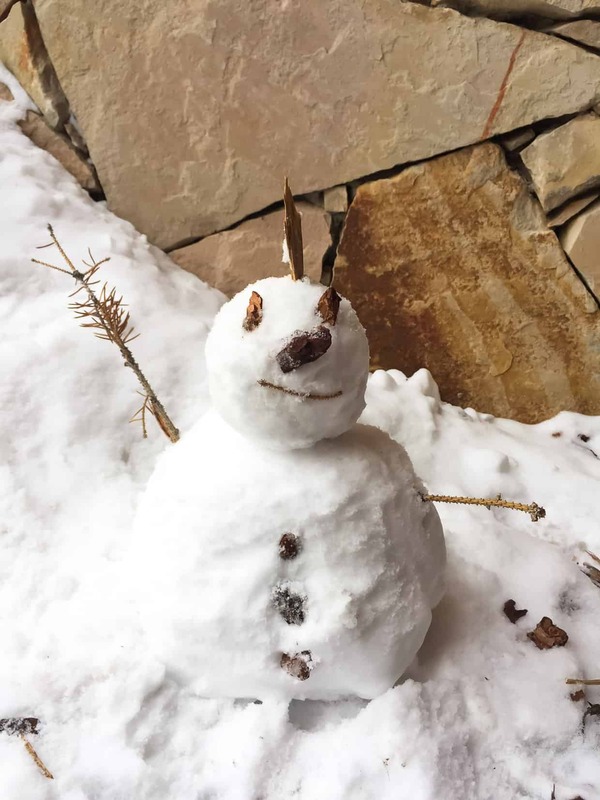 There might be something in the water, but really, everyone you encounter at Deer Valley Resort, from the shuttle drivers to the lift operators is SO kind and happy – it makes the experience so much more special! 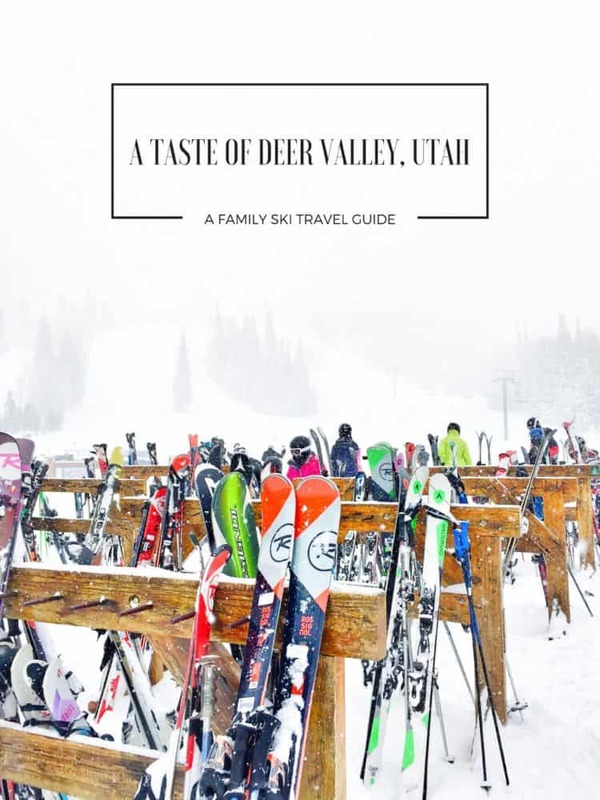 If you plan to ski Deer Valley with your family, consider the following places to stay, savor and play! We’ve tried it all when it comes to ski vacation accommodations: hotels with ski-access, mid-mountain hotels with luxury ski-valet service, and ski village condominiums with lift-access. 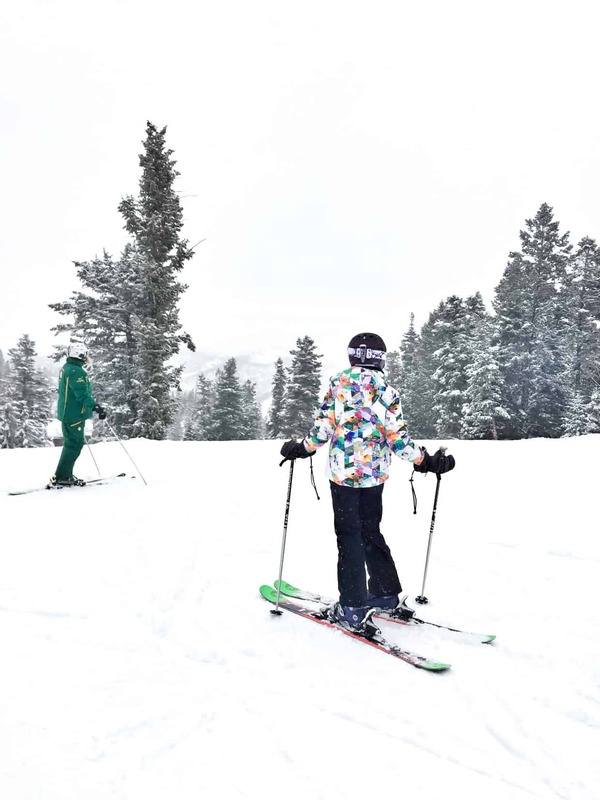 And when it comes to Deer Valley Resort, all of these options are available – from cozy condos to gorgeous homes that accommodate multiple families, to luxurious hotels footsteps away from your favorite runs. For this trip, Deer Valley arranged for us to stay in one of Deer Valley’s Signature Collection of Private Homes and Condominiums — a three-bedroom condo at the base of the mountain in the Snow Park Area, just minutes away from Snow Park Lodge, the base ski facility. 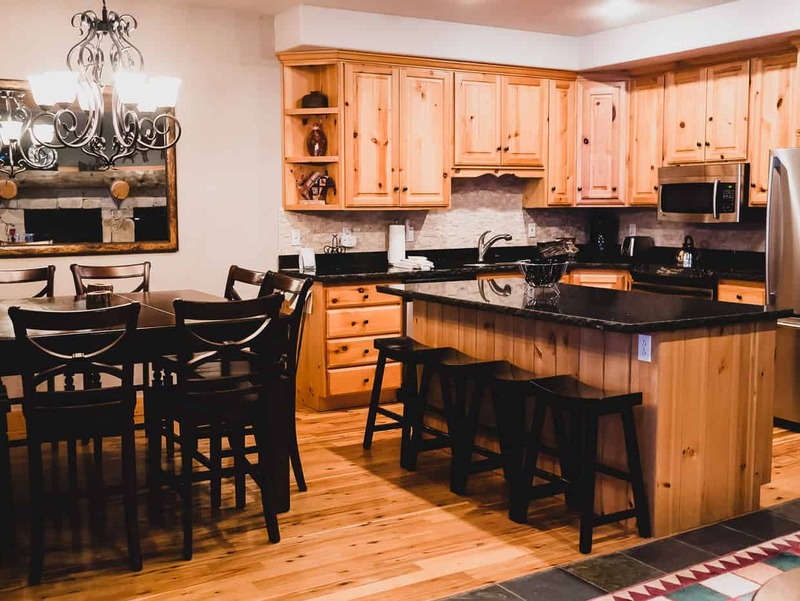 Our condo at Glenfiddich was warm, cozy and roomy, with heated floors, a fully-equipped kitchen, and plenty of space for us to lounge as a family after a tiring day on the slopes, whether it is finding respite in our bedrooms or watching a movie in front of the fireplace. Plus, on our deck, was a hot tub, which turned out to be one of our favorite places to relax after working those leg muscles all day! I have to admit that I was concerned about our condo’s proximity to all the action, and to all the food, especially since we were not renting a car, but my worries were quickly erased. One of the best services that comes with staying at a Deer Valley Signature Collection property is that they offer complimentary in-town transportation service, provided by Cadillac. So whether you are planning to dine at one of the many restaurants at the resort, or in Park City’s historic Main Street, just minutes away, a private car is at your service, either a quick phone call or text message away. Speaking of text messaging, this was another lovely surprise. Upon check in, the concierge at Deer Valley Signature Collection promptly sends your phone a text message. If you need anything during your stay – extra towels, car service reservation, housekeeping, anything at all – the concierge is prompt to respond and answer your every need with a simple text. And while our condo was not terribly far from Snow Park Lodge, when it’s frigid outside (and it was! ), there’s no need to walk. 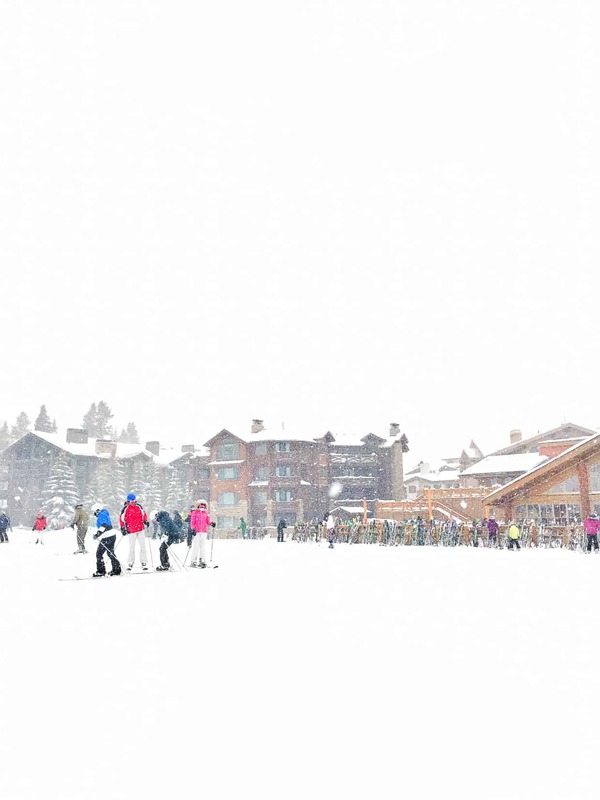 Deer Valley Resort offers a ski shuttle that frequently and regularly loops the base village, so that all you need to do is walk outside your accommodations, hop on the shuttle, and get geared up and on the lift within minutes. 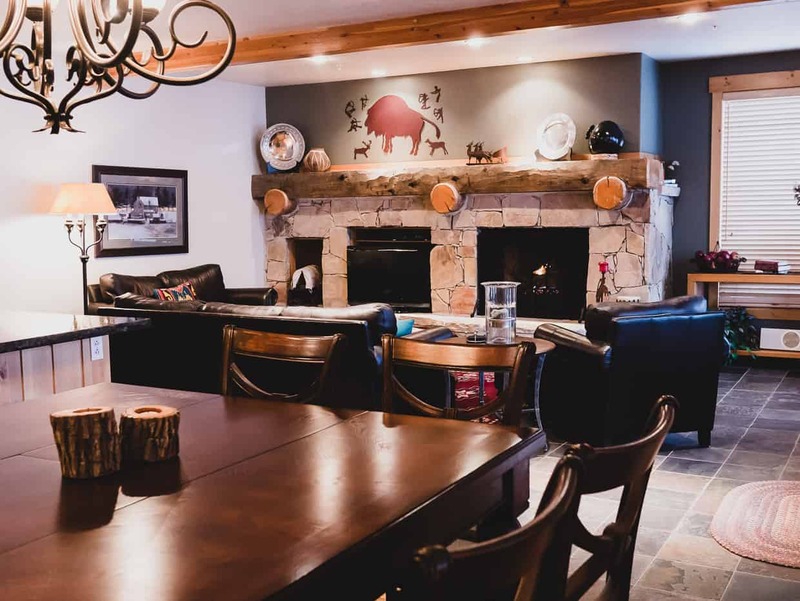 If you’re looking for a cozy home away from home, or ski chalet away from home, I encourage you to explore the many properties offered by Deer Valley’s Signature Collection – you are sure to find the perfect place for your next ski vacation! 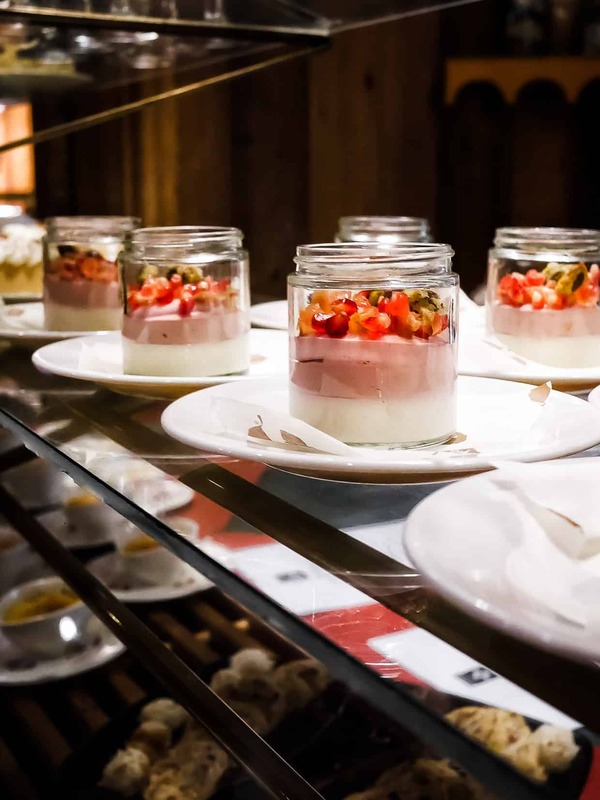 Allow me to put it simply: hands down, the dining experience at Deer Valley resort is unlike any other ski resort we have visited. The folks at Deer Valley take pride in their award winning food and with good reason. They think outside of the box, they offer exciting menu and dining options throughout the mountain, and the food is delicious. What other resort has their own resident cheesemaker? I confess that when we visit other ski resorts, we end up eating at the same restaurant(s) over and over again, simply because there are not enough tasty options. And when I’m tired from skiing, the last thing I want to do is cook dinner, even if I have a lovely full kitchen at my disposal. 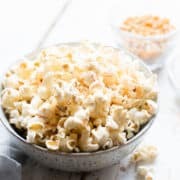 Thankfully, I don’t need to light a burner at Deer Valley, because there are so many wonderful places to eat, both on property and in downtown Park City, which is just a few minutes drive away. Hands down, my favorite place for breakfast when staying at Deer Valley Resort is Deer Valley Grocery-Café! Whether you eat in the cafe or bring it back to your accommodations, you can’t go wrong. 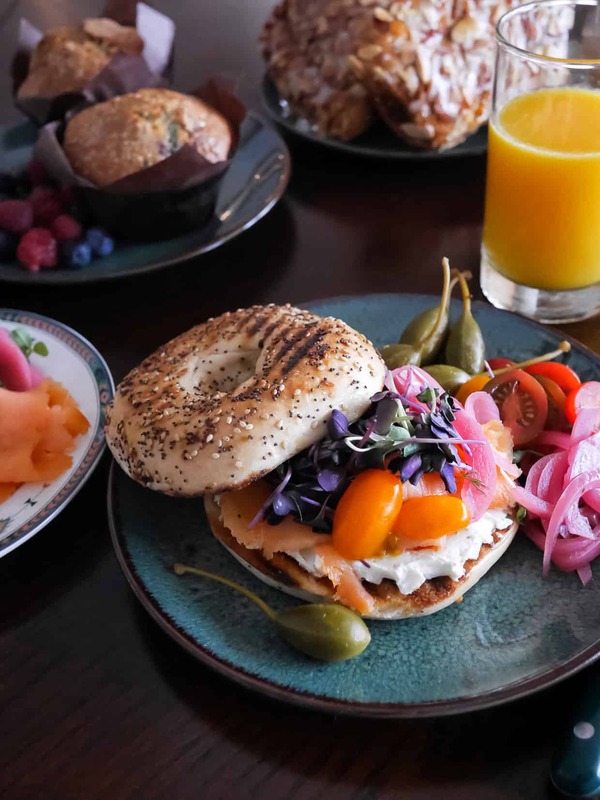 From cozy oatmeals and housemade granola to buttery pastries, to the ultimate avocado toast, or my favorite – bagel and lox Utah style, it’s the most delicious place to fuel up for the day. 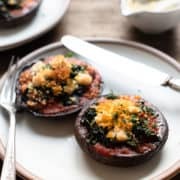 Also, there are so many delicious prepared meals you can bring back to your condo for easy dinners in – lasagnas and pastas, and even a kit for the top secret Deer Valley Turkey Chili! If you’d rather fuel up right before hitting the slopes, then head straight for Snow Park Lodge and load up at Snow Park Restaurant. 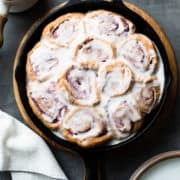 The breakfast buffet has everything you could want, from hearty eggs to made to order, lots of fresh fruit, pastries, and if you’re feeling decadent, cinnamon challah French toast with banana butter! It’s also a great place to grab a hot cocoa or mid morning tea between runs, and of course, for lunch! Royal Street Cafe was perhaps my favorite place for lunch on the mountain. Located near many of our favorite lifts, it’s a peaceful (and convenient) place to find some quiet and delicious food. 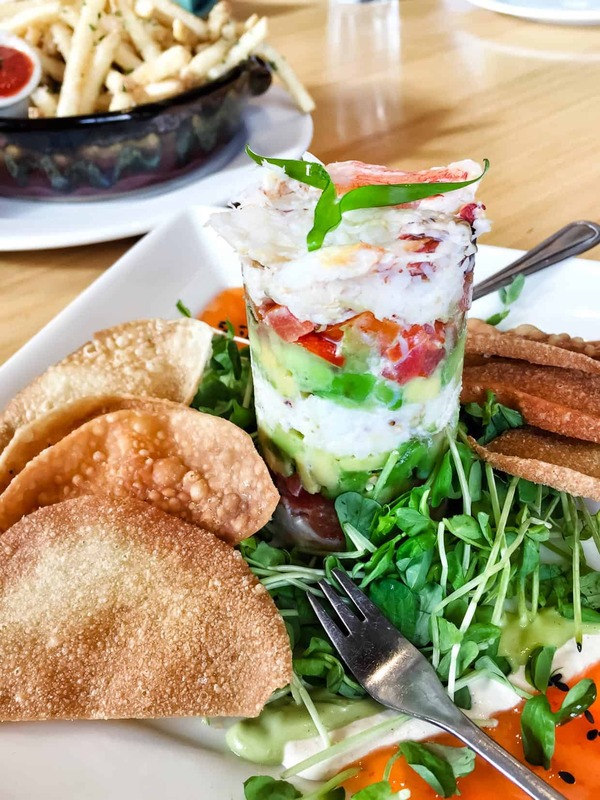 Their fresh dungeness crab tower is a far cry from some of the standard fare you find at most ski resorts. Which reminds me, how many ski resorts do you know of that have their own resident cheese maker? Yes, Deer Valley has one and you can sample it any many of the resort restaurants. We tried the housemade sheep’s milk cheese on their Artisan Fleur de Neige Flatbread – so good! 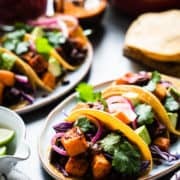 Short rib tacos sound good? You can find it here. How about Maple Bacon BBQ Bison Burger? The choices are endless. The same place for breakfast is open for lunch, and I especially loved the salad bar at the buffet. 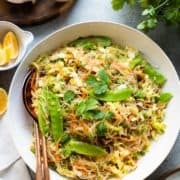 The greens were wonderfully fresh, the variety of topping were perfect. 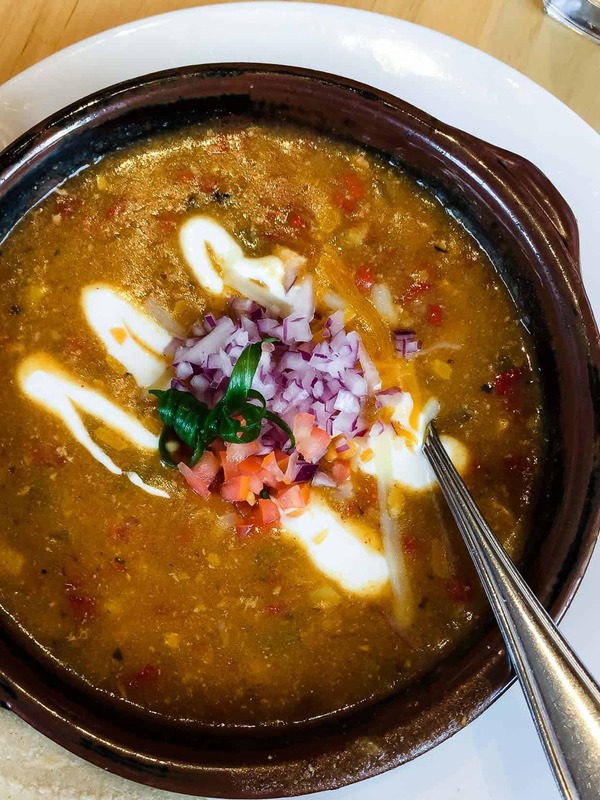 Paired with Deer Valley’s famous Turkey Chili (it lives up to the hype – I could have eaten it at every meal and have been quite satisfied), and that’s all I need! But of course, there’s sandwiches, grilled items, and all the desserts you can hope for at Snow Park Restaurant, too. This is where you can find all your comfort food — grill items, pizza, tacos, soups, chilies and a signature Deer Valley cookie to reward you after a morning of skiing! The one thing I crave when I’m in wintery weather is a steamy bowl of soup, so I was excited to try the newest addition to Deer Valley – Bald Mountain Pho. Now you know I am a pho fanatic (or is it pho-natic? Sorry! ), so this was one of the first things I had to try on our first day on the slopes. Hot noodle soup was just what I craved on that 10 degree day. I will admit that for the most particular pho connoisseurs it is not the most authentic broth, but when you’re at 8,100 feet, the veggie pho is great. The cozy, apres-ski vibe at The Brass Tag is a wonderful place for families to enjoy a delicious dinner after a day in the snow. 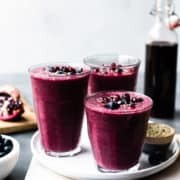 The food is elevated comfort, like Avocado Fries, Miso Glazed Verlasso Salmon, gourmet pizzas from the roaring brick-oven, and decadent burgers. There are even devices loaded with games, which is fun not just for little ones, but for moms and dads, too! Whenever we chatted with friends about going to Deer Valley, everyone raved that the Seafood Buffet is a must. It’s true! I tend to be suspicious of buffets, because it’s always hard to do large quantities of food well, but the Seafood Buffet is AMAZING. 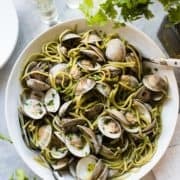 From several varieties of crab and fresh oysters, to steamed clams, to even juicy prime rib, there’s something for everyone. My personal favorites? The poke bar – such fresh, buttery tuna, and incredible octopus! And the seared ahi tuna made to order, served with wasabi aioli or housemade smoked soy sauce – incredible. 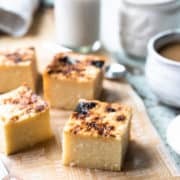 And don’t forget dessert, everything bite sized so you can sample to your heart’s delight. 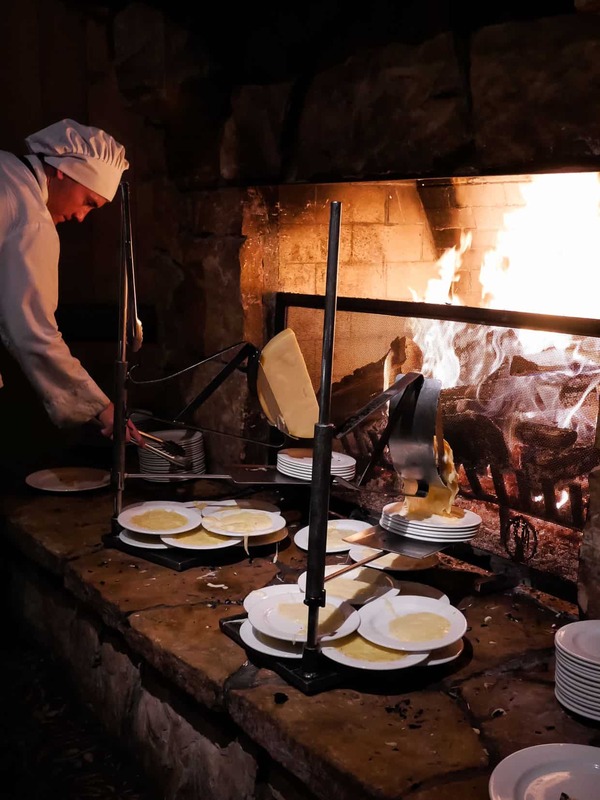 If there is ONE restaurant you can not miss in Deer Valley, I would say Fireside Dining is it. This is a MUST, and it was the perfect setting for our final evening at Deer Valley. After a morning of skiing and afternoon of snowmobiling, the five roaring fireplaces was the coziest place to spend the evening, savoring four courses served from the stone fireplaces. I would have been content enough to eat platter after platter of warm Swiss raclette cheese with cured meats washed down with a glass of wine and topped off with chocolate fondue. 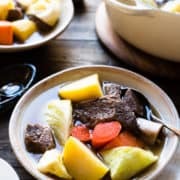 But each fireplace offered so many tempting dishes, from roasted lamb, to my personal favorite, the veal and mushroom stew, which I loved so very much that I will be sharing shared the recipe. 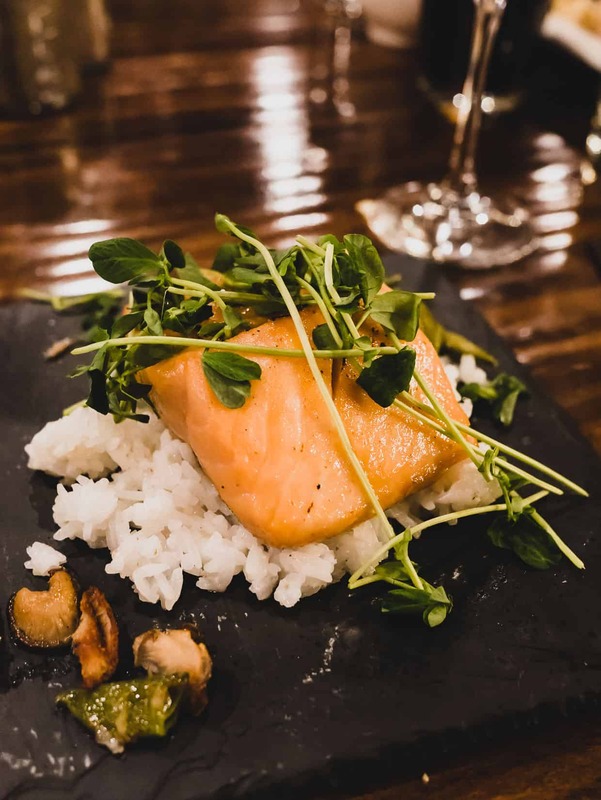 There is so much food to eat at Deer Valley that you might be tempted to stay put, but definitely head to nearby Riverhorse on Main in Park City, a mere five minute drive away. This was my second visit to Riverhorse and I consider it a must, whenever in Park City. 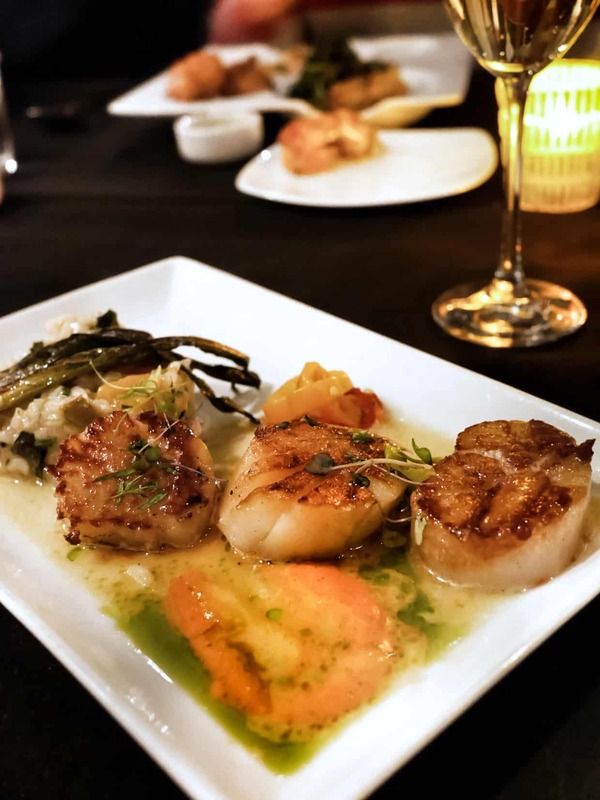 The food is delicious, and while I have a special place in my heart for their Braised Buffalo Short Rib, I opted for the perfectly seared Georges Bank Scallops served with the butternut squash risotto. 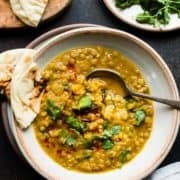 I also must point out they have a strong gluten free and vegan menu, which is so wonderful to see! My little guy felt adventurous with his first taste at Provençal frog legs. And the highlight was ending the meal with sips of our favorite Royal Tokaji, which paired amazingly with the cinnamon churros and orange sorbet! Make sure you leave room for that! I’m now a believer: the skiing in Utah is incredible, and as I mentioned earlier, it will be hard to ski anywhere else again. Once you’re spoiled, well, sigh. I’ve already mentioned many of the reasons why we love skiing at Deer Valley, but here’s a few more! Service. Even though we did not stay at one of the hotels offering ski-valet, everyone who skis Deer Valley is treated to excellent service to make getting on and off the slopes easier. One of my favorite features is the complimentary overnight ski and boot storage. Whether you bring your own gear or rent your own, once you’re done for the day, hand your skis over to be stored securely overnight and slip right into your cozy boots to comfortably walk home! No need to lug all that gear back to your hotel, condo, home, or car! Ski School. Whether you have never dipped a toe into skiing or you are an expert skier looking to explore some black diamond runs, there are instructors just for you. My son was essentially starting from scratch since he took a sidestep into the world of snowboarding, so he spent a few days at Adventure Club in a small group of about 4. He loved his instructors! I loved his report cards we received at the end of the day – not only do they cover the skills covered/mastered, but they also tell you which runs they explored. As a parent, that’s awesome, so that when you go skiing with your kids, you already know what they’ve tried! My husband, daughter and I spent our days meanwhile in a private lesson with our instructor. After a few years of not skiing, it was very humbling to start all over again. It was almost like learning how to walk! But we got our ski legs back, and before we knew it, were having fun. We stuck to the easier runs — they were plenty challenging for me! Having an instructor is a must — it’s so helpful having someone to navigate you through unknown runs and to guide you along the way. But even if you don’t have one, everything is clearly marked and there are plenty of Deer Valley employees to point you in the right direction. The Little Things. It’s the little details that make things even better. The smiles on everyone’s faces. The tissues at every lift line. The lotion to calm your dry skin in the restrooms. Skiing is not the only adrenaline rush awaiting you at Deer Valley! 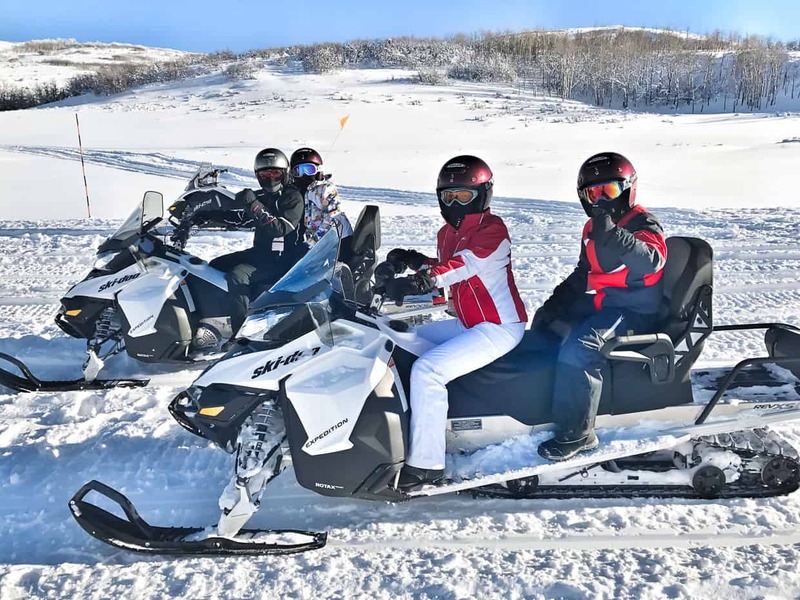 We suited up at Summit Mountain Adventures and took a two-hour snowmobiling tour in Garff Ranch, where we zoomed through the incredibly scenic and isolated 7,000 acres of the Wasatch Mountains. Lest you think you’re just going in circles in a meadow, you are mistaken. No, these are trails through the mountains, with some leading you to majestic views overlooking stunning drops, though if you’re like me, you are so focused on making sure you stay ON the trail. 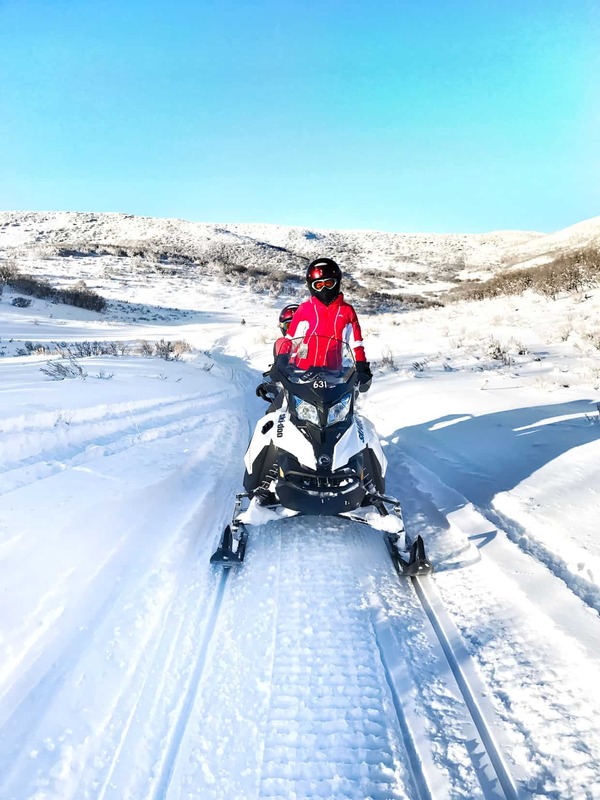 Again, snowmobiling was quite humbling – you really have to put your body into it and my upper body got quite the workout – I was sore the next day! Our adventure took place on one of the coldest days of the year, so be sure to dress warmly (especially for passengers riding behind the driver), pack those hand and toe warmers, and get ready for speed — you do go fast! We had a particularly crazy adventure, but I’ll have to save that story for another day. 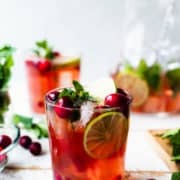 If all the speed has you craving something a little more tame, then there are sleigh rides to make everyone in the family happy. It’s especially memorable when paired with Fireside Dining (see Where to Eat, above)! If you have time, sneak off to downtown Park City and stroll down the quaint Main Street. There’s a very western vibe here, and the shops are just adorable. There are lots of dining choices, too. 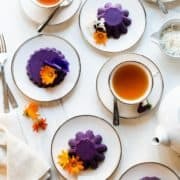 We didn’t have time for a spa visit during this trip, but if you do have time for pampering, you won’t be disappointed. The last time I was at Deer Valley, we were spoiled at the Spa Montage — how I wish I could have gone after all the nonstop skiing! The services and spa itself are bliss. Snow Park Area – Base Area, which is closest to Snow Park Lodge, the base area skier facility and Historic Main Street. Silver Lake Area – Mid-mountain, which is closest to Silver Lake Lodge, the mid-mountain skier facility. Empire Canyon Area – Upper-Mountain, which has some of the newest lodging options at Deer Valley Resort and driving distance to Silver Lake Lodge. Consider skier ability when choosing where to stay. What I mean by this is, if you stay at the Montage, for example, don’t expect to be able to wake up and take off on the nearest run if you’re a beginner! The runs are a little more technical. Definitely consider lift/run access when choosing lodging. Pack hand and toe warmers! This is a general ski tip, but one we really found handy while we were there in January. Our visit coincided with one of the coldest (it was -17°F one morning) and snowiest (the day we arrived, Park City schools closed for the first time in about 20 years) in Park City history. Take advantage of the excellent demo-quality rentals. Even if you’re particular about your gear, you won’t be disappointed if you rent. With several skier facilities across Deer Valley Resort, you can always stop in if your gear needs tweaking or switching out. And if you are excited to try some of the newest gear from Rossignol, demo the latest in Rossignol ski technology at the Rossignol High Performance test center, located adjacent to Empire Canyon Lodge, near the ski storage. Stick to skiing, not driving. Transportation to/from the airport is a breeze, whether you select Uber or go with a shuttle service. And once at Deer Valley, take advantage of the many shuttles that take you all around the resort. I hope you enjoyed this peek into our family’s adventures in Deer Valley, Utah! If you joined me on Instagram Stories and on Instagram Live, I hope that that you enjoyed it as much as we did, and if you have any questions on planning a ski trip to Deer Valley, with kids or without, comment below, I’d be happy to answer your questions! Disclosure: Sincere and warmest thanks to Deer Valley Resort for generously hosting our family and for making our stay so memorable and delicious. This looks like a love of fun. I want to have a ski adventure with my family in our holiday. Thanks for sharing this. It’s definitely a lot of fun. Hope you are able to make it out to Deer Valley with your family soon!